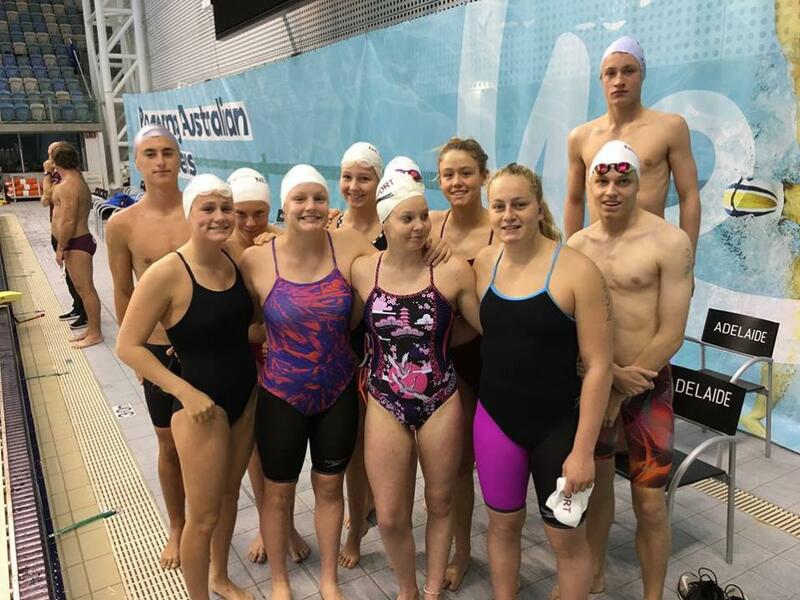 The wait is almost for over for the highly talented contingent of NSW Pool Rescue competitors who have made the trek to Adelaide for the National Championships. From tomorrow, the athletes will be chasing medals and glory as they seek to add their names to the record books at the architecturally beautiful South Australian Aquatic and Leisure Centre. The NSW Championships held a little over two weeks ago on the state’s Central Coast was an exciting preview of what to expect from the NSW competitors over the coming days, and it’s fair to say that the young guns are certainly hitting form at the right time. In the U14 Boys two of the swimmers to keep an eye out for will be Joel Piper (Newport SLSC) who was in fantastic form at the State Championships and is marked as the one to beat in the 200 Metres Obstacles Race, while Tom Rodman (Terrigal) is the early favourite for the 50 Metre Manikin Carry. There are high hopes for medals in the Female Races with Charlise Wheeler (Terrigal) coming off 8 gold medals at the NSW Championships, and Kayla Holmes (Umina) backing up from an incredible 14 medal haul. As always at The Aussies there will be an extra focus on team events with many athletes saying that these races are often career highlights. Expect the teams from Terrigal, Umina, and Newport to feature heavily in the finals as they look to take on the historically strong Queensland clubs. The three-day competition is also the last chance for Australia’s New South Wales representative contingent Rachel Wood and Jemma Smith (Umina), and Youth Australian member Keeley Booth to get experience at the venue that will stage the World Championships later this year, and the trio will be out to make the most of the opportunity. From the youngsters to the veterans, Terrigal’s evergreen Paul Lemmon is the leading NSW Masters competitor and will be out to chase gold in a sport he has dominated for so many years. The NSW Interstate team will also be in action in the coming days before they hit the pool for their clubs, and after coming second at the same venue in 2017, the 22-strong Blues team are keen to get one over their Queensland rivals. “I think it’s shaping up to be a wonderful weekend of competition,” said NSW Surf Sports Manager Rob Pidgeon. “The selectors have chosen an extremely talented NSW Representative side with the right mix of youth and experience to really challenge for the title, and we’re looking forward to see how our local clubs go against the best Australia has to offer. “I’d like to wish all competitors, officials and supports the very best of luck, and hope to hear some positive results from our very skilled NSW based athletes as they look to be crowned national champion,” he concluded. Team New South Wales got off to a great start at the National Pool Rescue Championships winning the first four medals on offer in the Obstacle events on Friday 3 August in Adelaide. There were gold medals in the U12 and U13 with Newport’s Connor Maggs 12 boys, Mitchell Morris 13 boys in Australian record time, Kimberly Doyle U13 girls whilst Davara Marshell from Umina Beach took out the U12 girls. In the masters Terrigal's Paul Lemmon was dominate taking 19 seconds off the Australian Record whilst Linda Redfern finish with a Gold. NSW continued in good form with Terrigals Charlise Wheeler Gold in the U15s and Rachel Wood from Umina in the U19s. In the Obstacle Relays it was again Newport 12/13 Boys, Terrigal 13/14 and Umina U19 Girls and Terrigals Masters again were too strong for the other clubs. Saturday's action will see clubs compete in manikin (patient) tow with fins, 200m Super Lifesaver, brick and manikin carries. In the line throw, it was a mix bag if results but there were Australian titles for Newport B U12 boys, Terrigal men’s A 50-59 Masters (Australian Record) Umina Female 30-39, Terrigal U15 boys, U17 boys Umina, and U19 female Umina. Interstate Results to come, but an impressive Australian record to NSW in the U14/15 Interstate Obstacle Relay so far. Stay tuned for more. Anumber of NSW surf lifesavers will have to fork out for extra baggage at Adelaide Airport after a strong performance at the Australian Pool Rescue Championships in the South Australian capital over the weekend. NSW were represented by an extremely strong contingent in this highly technical sport over the three days, and although they didn’t claim overall honours in the club championship there was still plenty to celebrate. Terrigal (218 points) was the best performed NSW based club finishing third overall in the Open standings behind the dynamic Queensland duo of Currumbin Beach Vikings and Maroochydore, while Newport and Umina also finished in the top five. Bulli, Avoca Beach, and Warilla-Barrack Point also impressed to finish inside the top 20 which reinforces the depth of talent within NSW at present. There were a number of outstanding swims across the weekend with Rachel Wood, Davara Marshall, Kimberly Doyle and Keeley Booth particularly impressive. Booth and Wood dominated the U19 Age Group with 12 medals between them including six gold, and would certainly be comfortable in the pool that they will return to as members of the Australian Youth team later this year. The future of the sports looks particularly bright in NSW with Terrigal and Newport enjoying plenty of success in the relays. In the line-throw Newport (U12 Boys) were first past the post, while Terrigal were crowned champions in the 50-59 Male Masters event (Australian Record) as well as the U15 Male division. Not to be outdone, Umina took home three Australian titles in the line-throw with gold in the Female 30-39, U19 Female, and U17 Male races. Terrigal’s Paul Lemmon was the stand-out Masters athlete adding another 8 gold medals and 6 Australian Records to add to his already impressive CV, with club mate Linda Redfern and the Umina Masters also performing strongly. There was disappointment in the annual representative competition as a late surge from Western Australia on the event’s final day was enough to relegate NSW to third place on the podium behind champions Queensland. 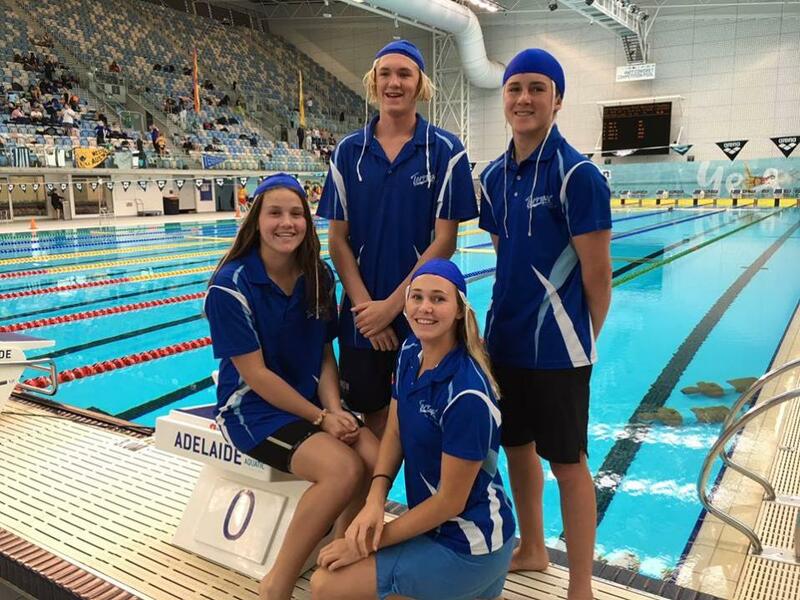 NSW started the competition strong including an Australian Record Swim in the U14/15. Obstacle Relay, but were eventually reeled in by the juggernaut that is Queensland. “While it was disappointing not to win Interstate the NSW athletes certainly gave their best efforts and we couldn’t be prouder of their performance,” said Surf Sport Manager Rob Pidgeon. “To have three clubs finish in the top-five at Aussies is a wonderful result, and it has been a fantastic end to the domestic pool season for our athletes who can now enjoy a brief rest before looking ahead to the summer season and world championships as well,” he concluded.